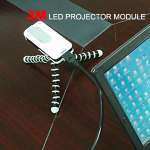 The Pocket Projector is a mini device especially made for unique requirements. Living in the global village, the professionals travel around the world, thus making the mobility important. You could just carry it everywhere. Also, it is a convenient device for you to share any wonderful images with others. Being the smallest mini LED product among the industry, it only weights 160g. 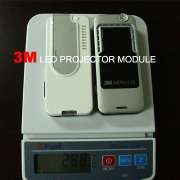 With 3M solution, it only needs 10W in power consumption. The product is certified with RoHS compliant, and it is with FCC and CE safety certification. If you are interested in our products, please don't hesitate to click the inquiry button--we are glad to fulfill all your needs! Cetus has been developing quality products for years. With experience and professional approach, the provider is confidence in manufacturing top quality products that fulfill buyer’s needs. To know more about our products, please feel free to send us your inquiry. We are prepared to help you with our greatest service!